Note the two Value nodes on the left hand side - these can be used to adjust the Scale and Offset (the actual Brick Texture's Offset can be left at Zero). 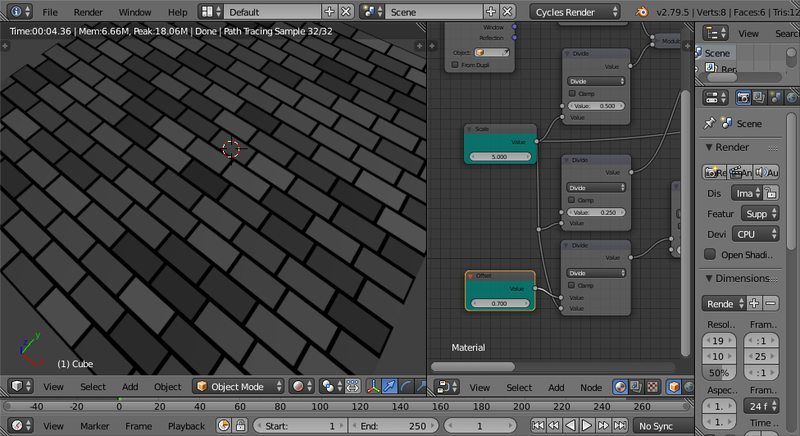 Adjusting the Scale or Offset should produce a similar effect to that of the actual Brick texture node. This works by using the Scale and Y coordinate to calculate (using a Modulo node) where each alternate row of bricks starts and ends, and then calculating the offset (again, based on the Scale) and adding this into the X coordinate to offset those rows of bricks. Note that this is only currently capable of adjusting the Scale and Offset - additional work will be required on the Maths nodes to allow for adjusting some of the other brick values (such as the Row Height). Not the answer you're looking for? Browse other questions tagged texturing materials procedural . 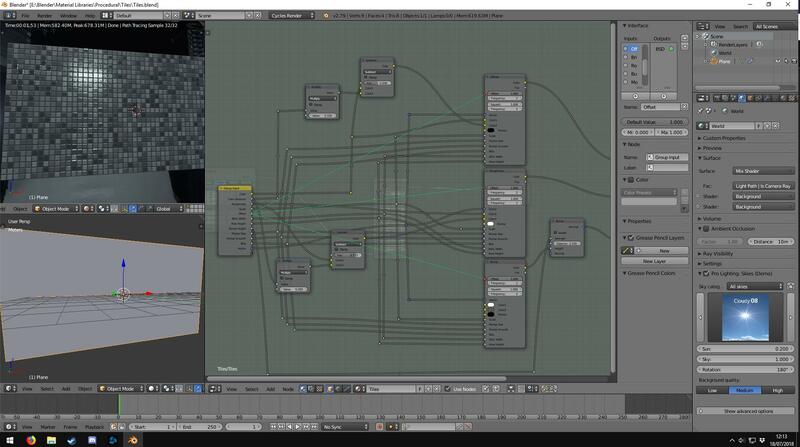 How to tile textures in cycles? Qubicle to blender for import to Unity - don't know if texture is actually applied? How can I effectively import and texture a large height mapped terrain mesh? 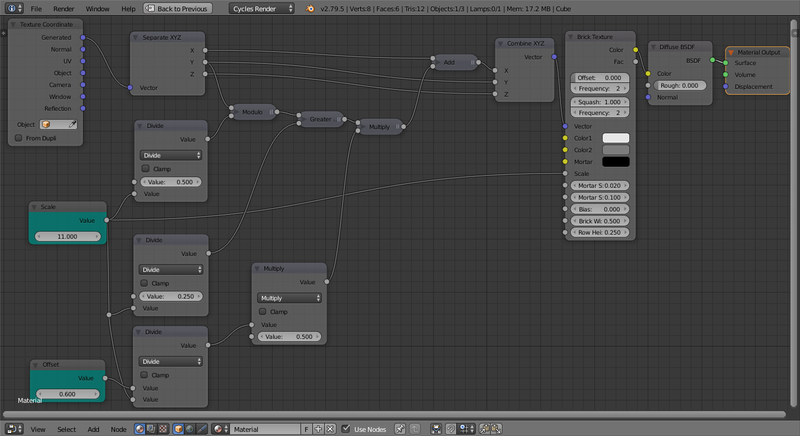 How does blender convert a color's value to a numeric value?